His smile slowly fades as his health goes down. He doesnt look too happy! Watch out for the fire and TNT! Guess who's back? It's JWMAN123! Today, I have a very exciting project that I've been working on for many months. 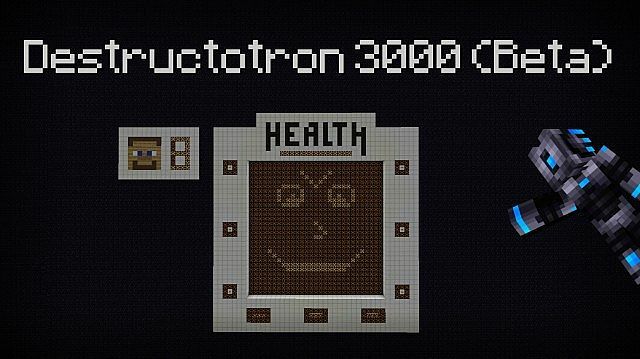 That's right, it's Destructotron 3000! (Beta) Destructotron 3000 is a massive robot that has one goal: to kill you. 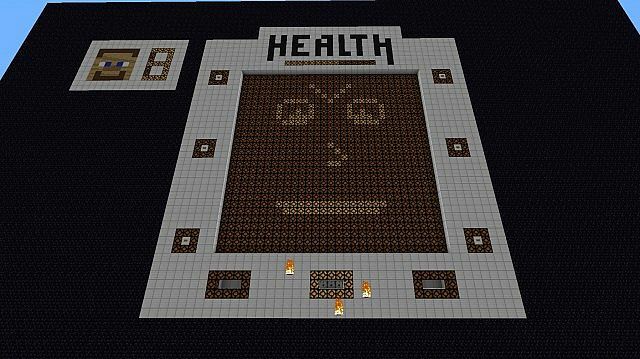 Will you be able to fight back and defeat him? Well, go ahead and give it a shot! Haha, see what I did there? Anyway, to defeat Destructotron, you have to dodge the TNT that falls on your head, duck and weave as he shoots balls of fire at you, jump to the different platforms, and try to shoot the targets! To give you an idea of how difficult it is, I have never ever beaten him! Yeah, pretty hard, right? Of course, Io m rubbish at doing mini games. But anyway, give it a go! I worked a VERY long time on this project, and have learned much about redstone along the way, so if you like it, give it a diamond. If you love it, give it a favorite! If you want to see more of my projects, click subscribe! 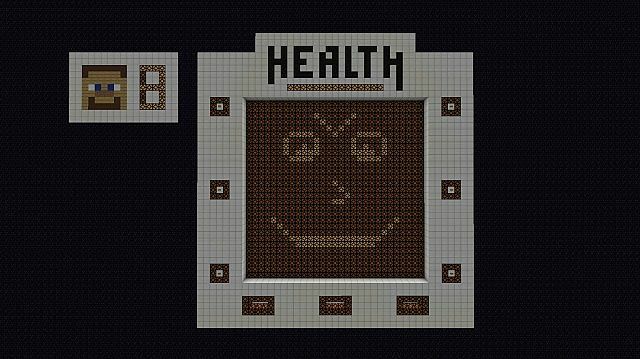 -A working health system: shoot him over 20 times to win! 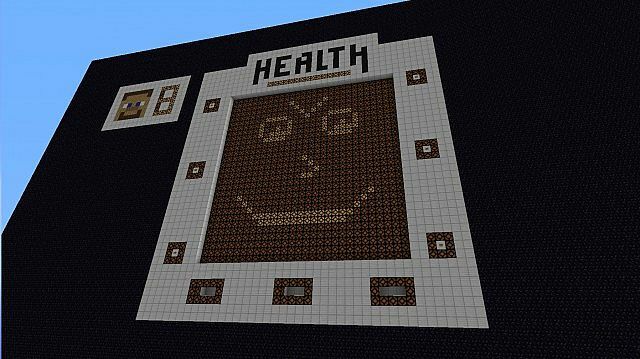 -Player health system: be careful, you only have 3 lives! 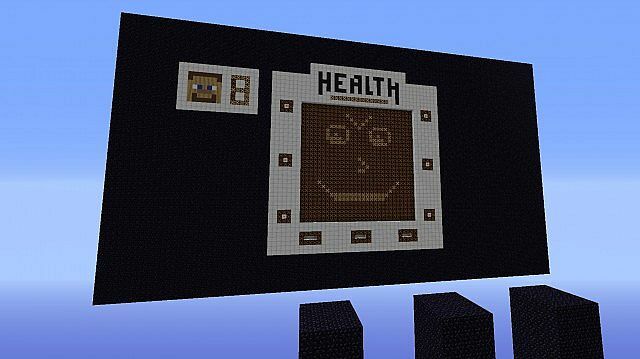 -Robotic emotion: As his health lowers, his face changes, and he talks to you! -Helpful tips messaged to you through the chat box: about one per three minutes. -Following eyes: Heo s always watching! Please remember, this is a beta. There are probably lots of bugs in the project. 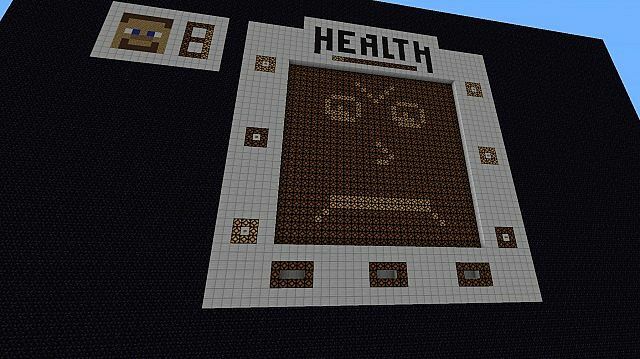 But if I get enough positive feedback on the project, I will continue to work on him, possibly having three difficulties, an epic spawn room, and cool 1.7 features! And make sure to comment, letting me know what you would like to see added to the robot. Thanks to FV_disco for inspiring me with his Evil Santa Boss Fight! 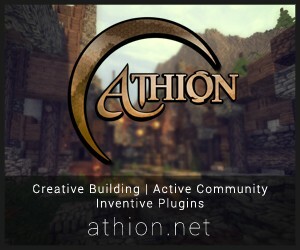 And thanks to all you wonderful people who supported me on the PMC forum! Thanks! I'm glad you like it. Did you enjoy playing? May I suggest that you add sand or gravel on the platforms? What for? 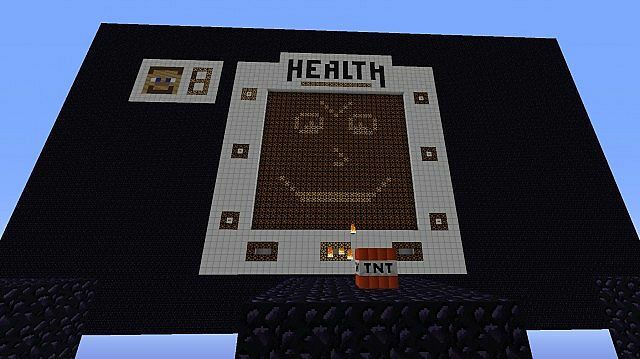 It would just blow up when the TNT spawns. 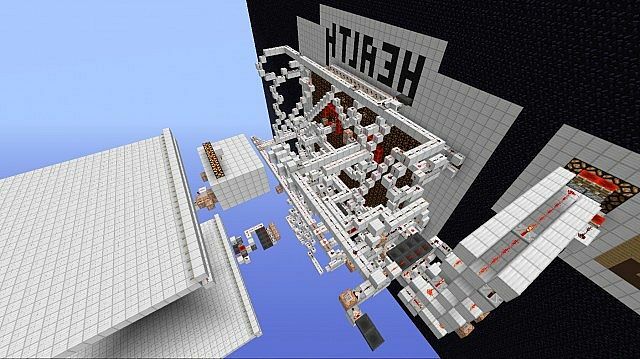 What is command block LAB? BTW, if I get enough support for the project (diamonds, favorites etc.) then I will add spells to the game, with different spell books to help you fight him, and a WAY better spawn, with three different difficulties, which I have already built, but was too lazy to add to the beta.